Ages ago, you and your people established a tranquil home; free of iniquity and without evil. 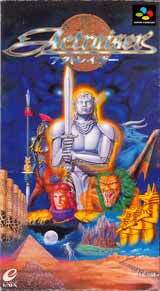 Eventually, the diabolical Tanzra and his Guardians invaded your peaceful paradise, turning it into a vile place inhabited by monsters. Now, many years after fleeing and having built up your strength, you return to exact revenge on Tanzra and take back your land. The Action mode of the game calls for you to battle the nefarious monsters that have assumed control of your home, while the Simulation mode has you guide your people through the rebuilding process. 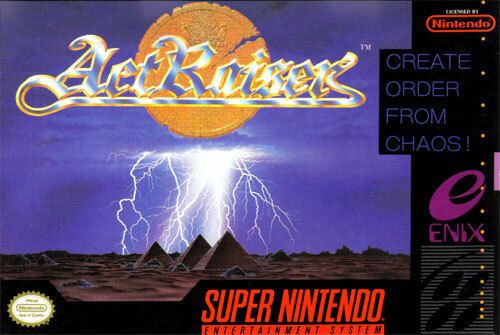 Taking advantage of the SNES' advanced capabilities, ACTRAISER challenges you to reconstruct a civilization, while eliminating evil in your town.